I’m a big data person! Are you too? How about localized employment trends for 20 of the largest U.S. metro areas published by LinkedIn every month?!? Ok, I cannot lie – I absolutely love this stuff. It helps me understand the employment trends across the United States and in turn, I can then better understand job seekers and the struggles they may or may not be up against when venturing out into the ‘new job seeking world.’ Hey, we all know making a decision for a job change is hard enough – being ahead of the curve and knowing what might lay ahead (before embarking on the job search) can at least keep the job seeker informed (or possibly relieved). To be ‘in the know’ is an absolute in today’s job market and good ole’ LinkedIn is always finding ways to help. Here’s a little secret and I haven’t told anyone this yet. I use the reports and the skills/keywords noted as ‘most abundant’ and ‘most scarce’ as a part of my resume and LinkedIn profile writing. 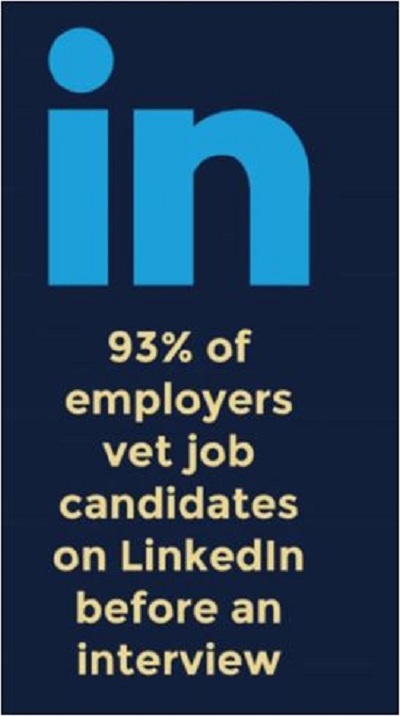 See, building these lists and knowing what skills/keywords that are most often used for specific industries and professions is key when dealing with the infamous Applicant Tracking Systems (ATS). These systems scan job seekers materials determined to find the most qualified candidates. Being ready to stand up to these systems is paramount! Hope you found the reports helpful. Possibly you already know about them and quite possibly you don’t find them useful at all. Hey, maybe a friend or colleague will – pass along and find out. Michael, based in Los Angeles, CA. joined us coming from a background of full-service marketing and communications, brand strategy, creative content writing, resume and LinkedIn profile writing and public relations work within notable LA recruitment firms. He founded Preston Communications in 2010 and holds a communications and media studies degree from Pomona College with an emphasis on professional branding. He has coached and guided numerous executives from varying industries including healthcare, finance, technology and the hospitality sector. We are glad to have Michael on board as our Communications and PR point person as well as the Editor for select projects.